It's a well-known fact that images can help attract more visitors to the website, and ultimately help to achieve business goals such as sales. 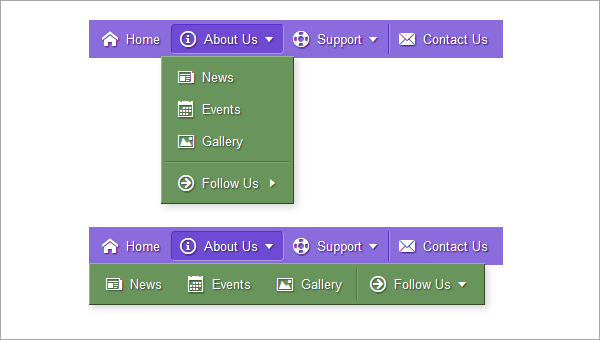 So why not add images to the drop-down menu to make website navigation more user-friendly? 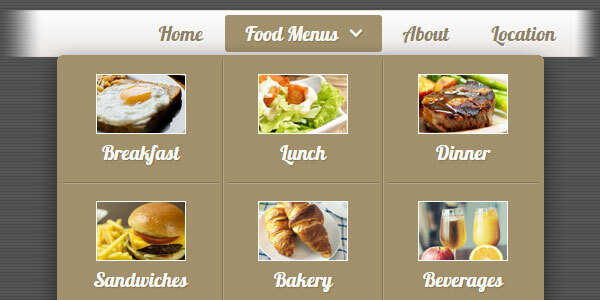 This Live Demo demonstrates the plain web page with a simple navigation menu for the cafe/restaurant website. The "Food Menus" element includes the child elements with images. The new property "Submenu Options -> Submenu orientation" specifies the orientation of the submenu (Vertical or Horizontal).